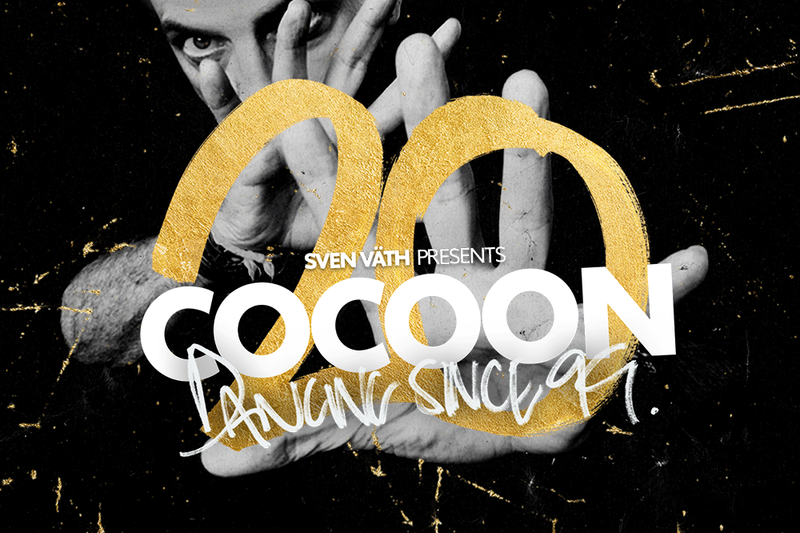 The event Sven Väth’s legendary COCOON Ibiza party has revealed that its mammoth 20th anniversary celebration will be at the #1 open-air club of the island, Ushuaïa Ibiza on Saturday 25th May, as a one-off special event. To kick off the celebrations of COCOON’s 20th anniversary, Väth has invited a handful of special guests including longtime friends, Underworld. Sven was playing Underworld’s legendary Born Slippy at his residency at Frankfurt’s hallowed Omen Clublong before it became the global smash hit it’s known as being. He invited them to play a memorable set at COCOON’s 10th anniversary in 2009, and now he’s giving a chance for a new generation to witness one of the greatest electronic acts of all time. They continue to inspire and innovate and sound like no other act on the planet, with 2019 also seeing the 20 year anniversary of their mesmerising, best-selling album, Beaucoup Fish. The UK duo, alongside Sven himself - who of course will also play on the night, will be joined on the bill by a selection of COCOON IBIZA’s long-running, well-loved residents: Ilario Alicante, Dana Ruh and André Galluzzi. Meanwhile, Matthias Tanzmann will play his debut COCOON IBIZA event. Each of them has made immeasurable contributions to the sound of the party, shaping its musical DNA over the years. When COCOON arrived on the island of Ibiza in 1999, the sound of the island was incredibly different. It took several years of Väth and his team’s dedication to underground house and techno before people started to understand and appreciate these uncompromising styles. Along the way, the party helped make superstars and grew to become the most popular night on the island. All the while, ‘Papa Sven’ has resided over the proceedings, breaking countless records, playing hundreds of breathtaking sets (including many legendary afterparties) and sticking firm to his musical beliefs while trends came and went. He and his huge COCOON family who have enabled him to realize his vision have truly transformed the musical landscape of Ibiza forever. Save the date.